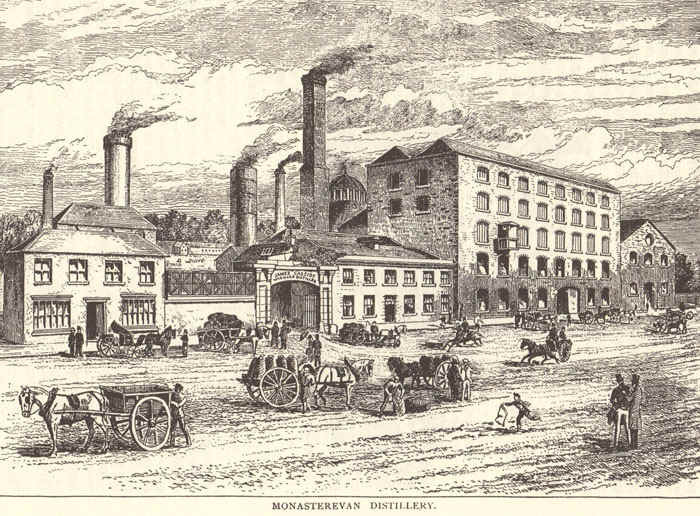 In 1784 Monasterevin Distillery was opened by Mr. John Cassidy. A hundred years later, in 1884 the distillery was making 250,000 gallons of whiskey a year. It was said that the "Cassidy whiskey was the best whiskey in the country". Some of the whiskey was exported to London. It was transported to Dublin on canal boats and then shipped to England from Dublin Port. A brewery for making beer was later opened in 1860. 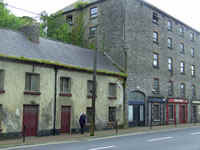 Cassidy's Distillery and Brewery closed in 1934. The Cassidy Family lived in Monasterevin House. They were friendly with Gerard Manley Hopkins, the famous poet. He stayed with them when he visited Monasterevin. The once busy factory is now a derelict building.